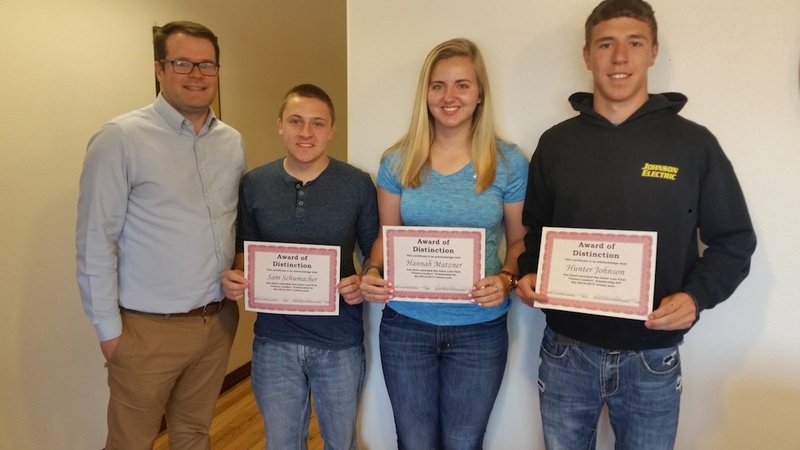 We are pleased to announce that Sam Schumacher, Hannah Matzner, and Hunter Johnson of Corsica-Stickney High School were awarded Swier Law Firm's 2017 "Future Leaders" Scholarships! “Our law firm is incredibly excited to have the opportunity to encourage students in Corsica and Stickney to pursue higher education,” said Jake Fischer. “Corsica and Stickney are both communities that take immense pride in helping our school and students achieve their goals. Our law firm's scholarship program is a great way to recognize our high school students for their hard work and provide an opportunity for future success. Sam, Hannah, and Hunter are outstanding young people and very deserving of this honor."